For a taste of Switzerland, visit the charming community of Helvetia, tucked into the hills of Randolph County. Hidden in the Randolph County hills is a tiny unincorporated area called Helvetia—a place with less than 60 people according to the U.S. Census, but enough heart and creativity to fill any big city. Well off the beaten path, this rural community’s origin dates back to the late 1860s when Swiss immigrants settled the area. Helvetia is known for its square dances, yodeling, and, perhaps most famously, its Fasnacht celebration in February, which takes place the Saturday before Ash Wednesday. 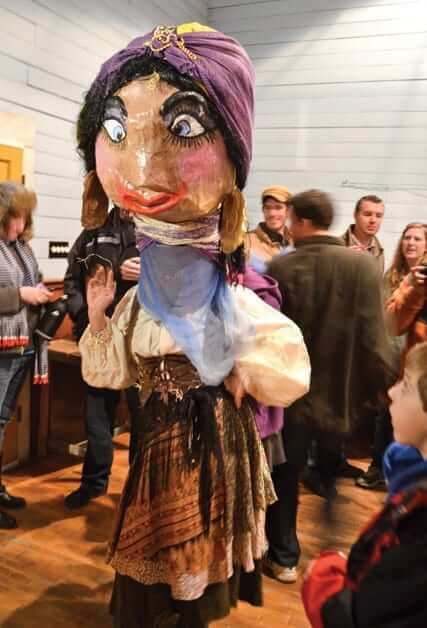 The whole town—not to mention people from all over the U.S. and the world—gather in Helvetia for a lively party that ends around a bonfire where patrons burn “Old Man Winter.” “It’s a celebration our ancestors brought here with them,” says Kevin Betler, Eleanor’s nephew, who manages a Fasnacht mask museum in the Kultur Haus (Culture House) in Helvetia. “It’s almost like Mardi Gras. It has grown into a huge deal and a lot of people come. They make beautiful, papier-mâché masks.” Fasnacht, or carnival, in Switzerland is a joyful time when participants seize the day in masks and costumes that, some say, help them take on a new identity as they parade through town, often singing, dancing, and playing music. Like the tradition of mask making in Helvetia, music and dance can be traced back to the village’s first days. Eleanor says children grow up learning to perform, and they have no fear of taking the stage. “It’s second nature to them. Helvetia kids dance,” she says. 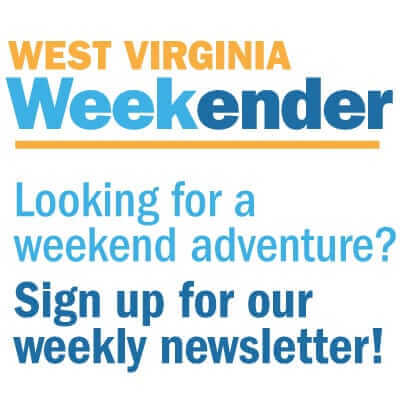 Every month, a square dance takes place in Helvetia as part of the Mountain Dance Trail Program. These days, Joe McInroy is one of the men inspiring everyone to have fun. An Ohio native, Joe went to Davis & Elkins College before landing a job in Pickens, five miles from Helvetia. 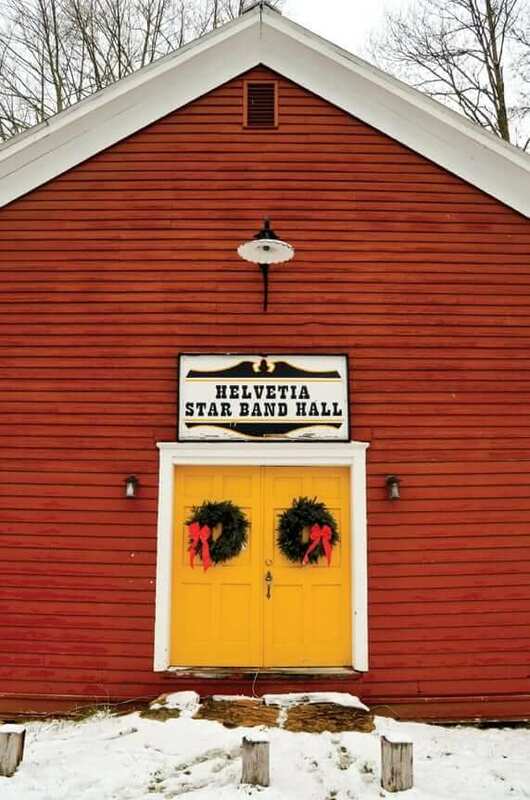 These days, the retired schoolteacher leads the Helvetia Star Band and directs a group of singers and yodelers. The band plays for all of the dances, playing square dance music, polkas, and some waltzes. Joe fell in love with Helvetia in the early ’70s. For nearly 17 years, he made Swiss furniture in Helvetia, and now he paints landscapes. 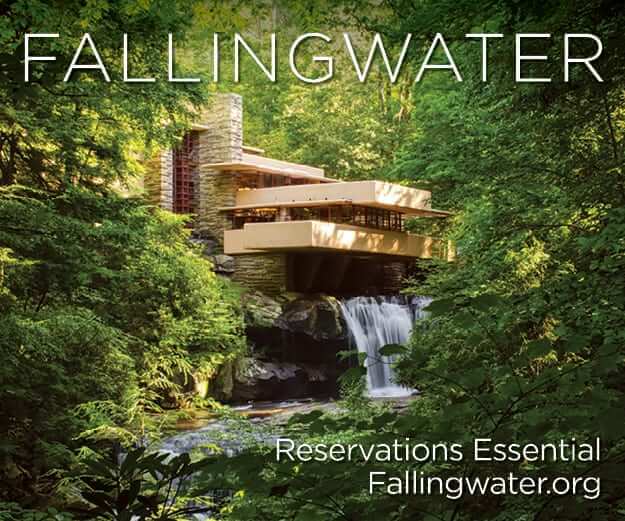 He and his wife, a former schoolteacher and postmaster, raised their children there and never dreamed of living anywhere else. Helvetia is located off of Route 46 in rural Randolph County, about an hour southwest of Elkins. 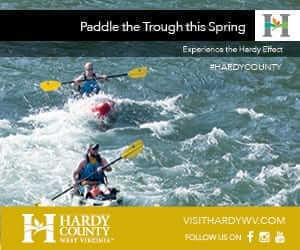 Maple Syrup Festival in nearby Pickens takes place March 16 and 17, 2013. The Historic Square. 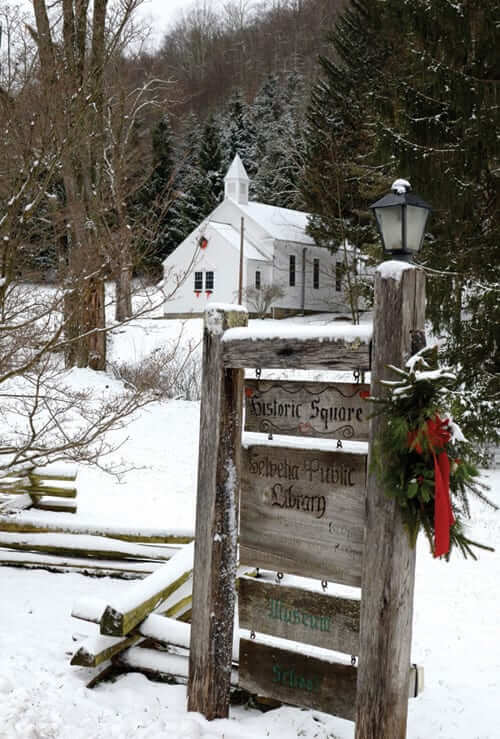 The beautiful, historic square includes the library, schoolhouse, museum, and gazebo. Visitors are always welcome to stroll around the village and take in the old log buildings. and Sunday, 1 to 4:30 p.m.
Before you go: It’s unlikely you’ll have cell phone service, and if you go in winter, be prepared for some seriously rough, though beautiful, roads!